The Real-time Digital LED Control reference design demonstrates the control of three boost converters to drive three LEDs (red, blue, and green) strings. 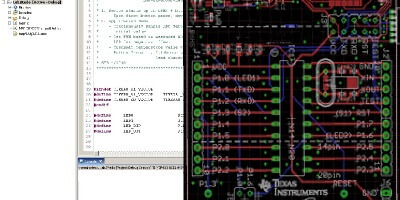 This design allows development with real-time digital control of the various LEDs which makes it perfect for any industrial or automotive application where real-time LED control is needed. 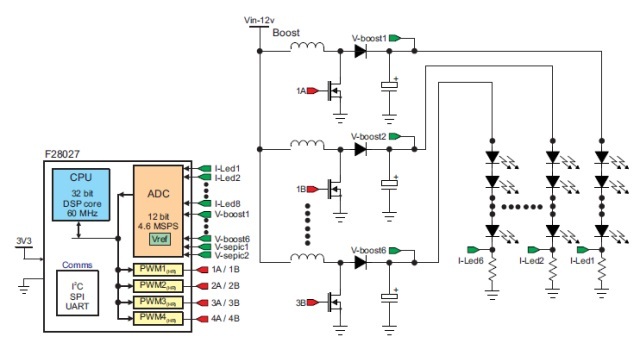 3 boost converters are used to step up the 12 V input voltage to a voltage high enough to forward bias the LEDs. 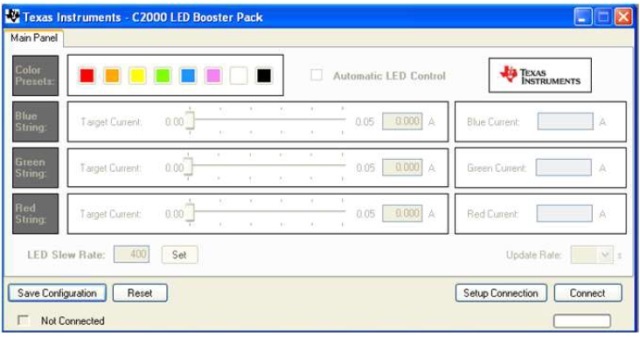 The Capacitive Touch BoosterPack can be plugged into the design and used to control the LEDs.